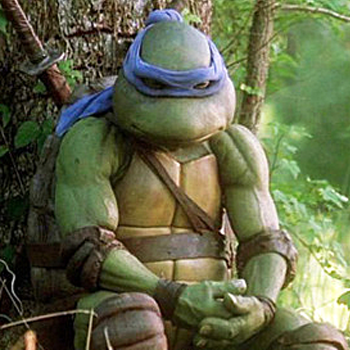 The Michael Bay-produced reboot of Teenage Mutant Ninja Turtles was widely expected to do only average, possibly disappointing business this past weekend; based on toxic advanced word of mouth, brutal reviews from critics, a stronger than anticipated holdover for Marvel's Guardians of The Galaxy and a famously troubled production history that included the project at one point being shut down entirely over a poorly received script that reconceived the characters as aliens. But audience's rewarded the film with a hefty $65 million opening weekend, so a sequel has already been greenlit for June 3rd of 2016. Michael Bay's Platinum Dunes company will once again produce the film for Paramount Pictures and Nickelodeon, with the same screenwriters slated to return as well. No potential story details have yet been suggested. It is not known whether director Jonathan Liebesman and (human) stars Megan Fox and Will Arnett will be asked back as well. In a statement, Paramount CEO Brad Grey praised the franchised, saying: "We are thrilled with this weekend's result, the enduring power of this franchise, and the opportunity to make another one." The newly-chosen date places TMNT 2 to once again open one week after an expected comic-book behemoth, Fox's X-Men: Apocalypse. Though dates frequently change, the only other film currently scheduled for that date is Seth Rogen and Evan Goldberg's Sausage Party, an R-rated animated comedy about a group of supermarket food items who suffer existential crises upon discovering they have been mislead about what happens to food "lucky" enough to be purchased.